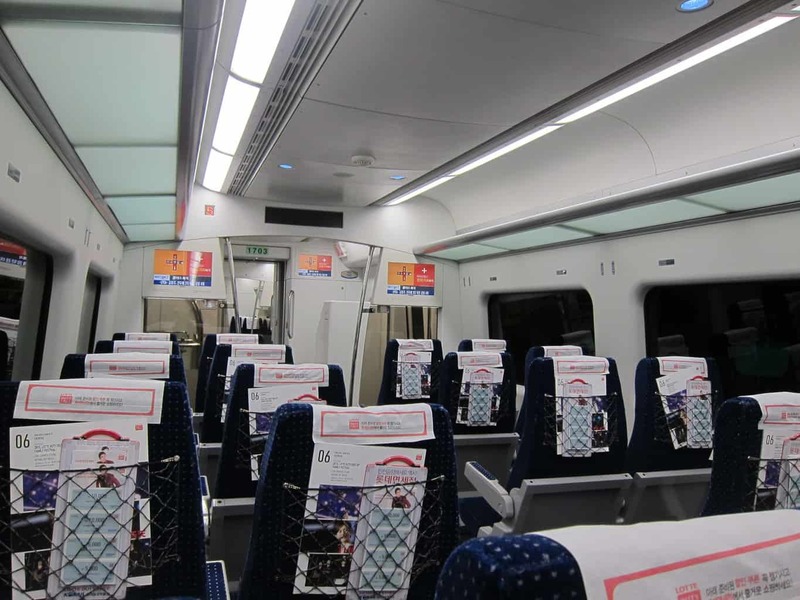 If you are planning to do some shopping like us and have limited budget on transportation, it is highly recommended to take the express train (AREX in short) instead of all-stop train to save all the troubles. 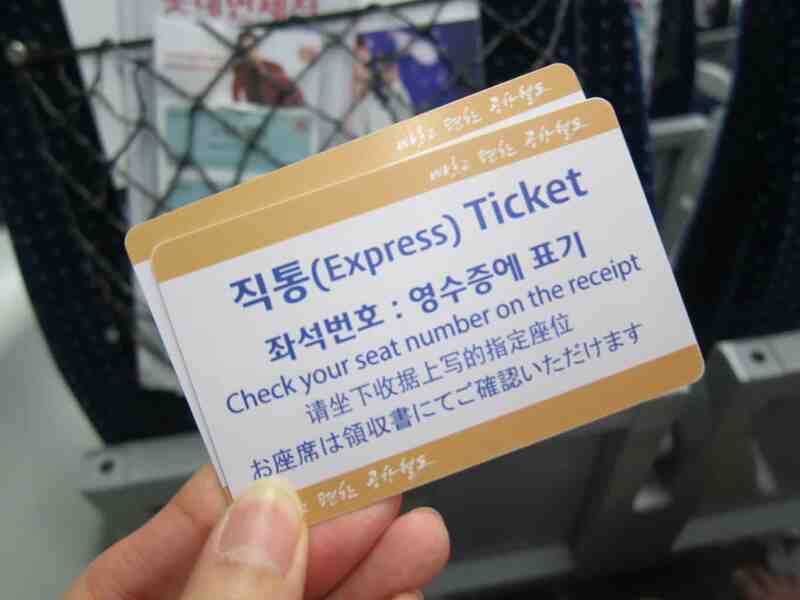 Arrive at Seoul Station B2 level and look for the Express Train Tickets booth. Purchase tickets at the ticket booth (as shown in the picture above) or at the tickets vending machine (shown in picture below). The express train typically costs 14,800 won; however, the fare was adjusted at a special rate (until December 31, 2015) so we bought ours at 8,000 won per ticket. 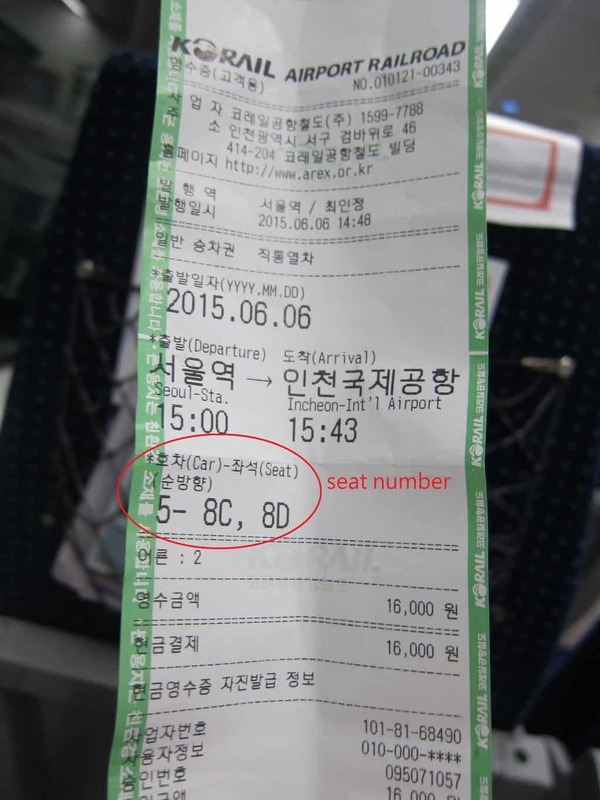 Check your receipt for the assigned seat number. Passengers with international flights with Korean Air, Asiana Airlines and Jeju Air departing from Incheon International Airport can check-in at Seoul Station. However, if you are claiming tax refund, you should bring your luggage and check in at Incheon International Airport. (I will explain why in my future post). 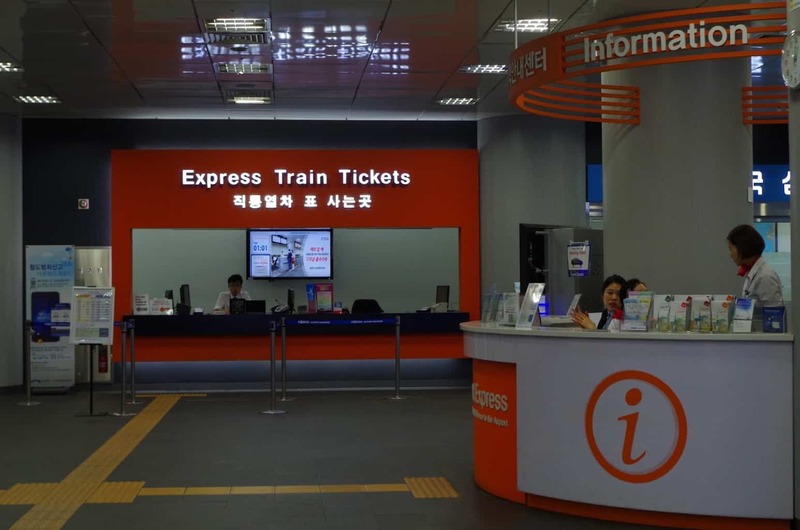 Insert your express ticket at the entrance gate and head towards B7 level to board the train! After parking your luggage at the designated area, just find your seat, stretch your legs and relax for 43 minutes! So… back to the question “is it worth it to take the express train”? My answer is….Hell ya! Although there is only 10 minutes difference in travel time, the express train saves you a lot of troubles. If you are bringing heavy luggage, I would surely recommend taking AREX. 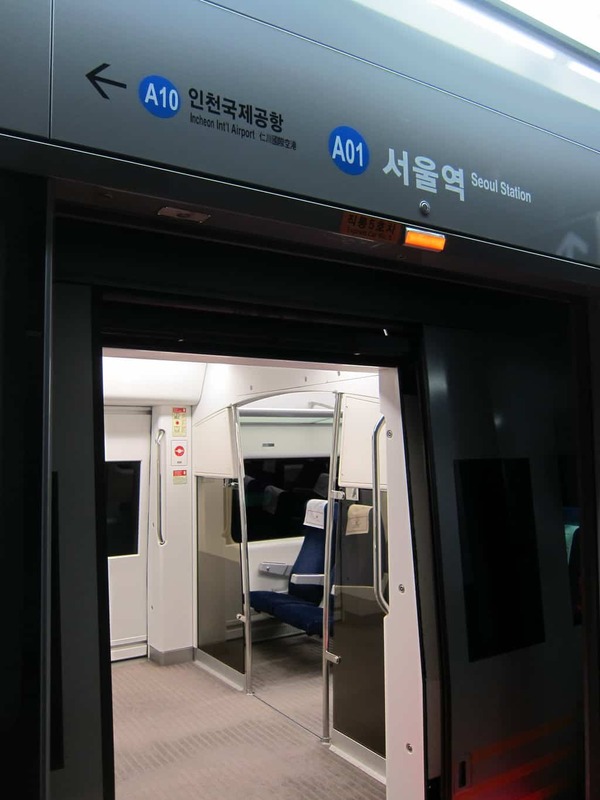 Hmm… maybe next time we should consider taking AREX from Incheon International Airport to downtown Seoul! I saw your post about AREX and I must say it was very detailed and helpful. Thank you so much! Just wondering though, do you know if I can take the AREX even if I won’t fly with the airlines such as KOREANAIR? Hi Regine, glad you found it helpful! To my knowledge, you don’t have to be flying with any airlines in order to take AREX. They don’t check your air tickets. Hi, Nice article! I was just wondering whether there was a lot of storage on the train? I’m going to be in Seoul in June and will have a large suitcase with me. Is the AREX or the subway better when you have a lot of luggage? 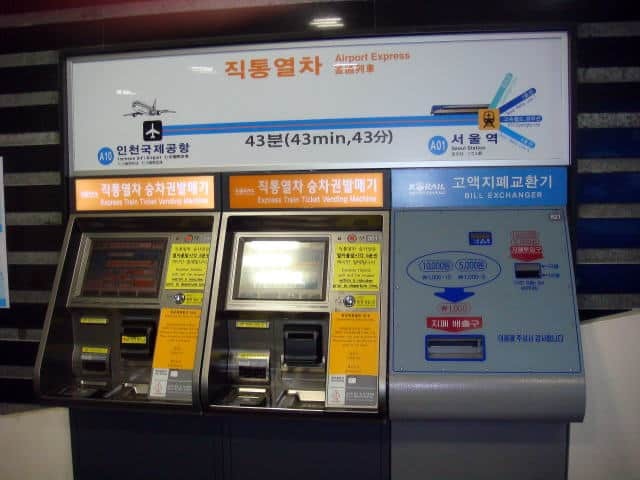 Can I use T-money for the AREX express train from Incheon to Seoul Station back and forth? You can certainly bring the luggage on the subway (not sure about the bus), but one thing to note is that there is no escalator or elevator within many subway stations. It is not really traveler-friendly. I remember we had quite a hard time taking our luggage from Seoul Station to the AREX station. Hello! As a very satisfied user of AREX from Seoul Station to ICN, I am concerned about the rumors I’ve been hearing that we will no longer be able to check our luggage in at Seoul Station (we have flown Asiana, so the check in here was very helpful!) after April 2018. My friend and I will be in Seoul in May. Do you know if these are rumors … or a fact? I’m not looking forward to dragging our luggage onto AREX, going to ICN, and then having to check in for our flight at the Terminal. Hi Laurie, No I have not heard of this rumor. After searching on the internet, I found no news article making this announcement (re: terminating check-in service). On the Official Korea Tourism website, which is last updated in January 18, 2018, it still says that you can check-in your luggage at Seoul Station in B2F. 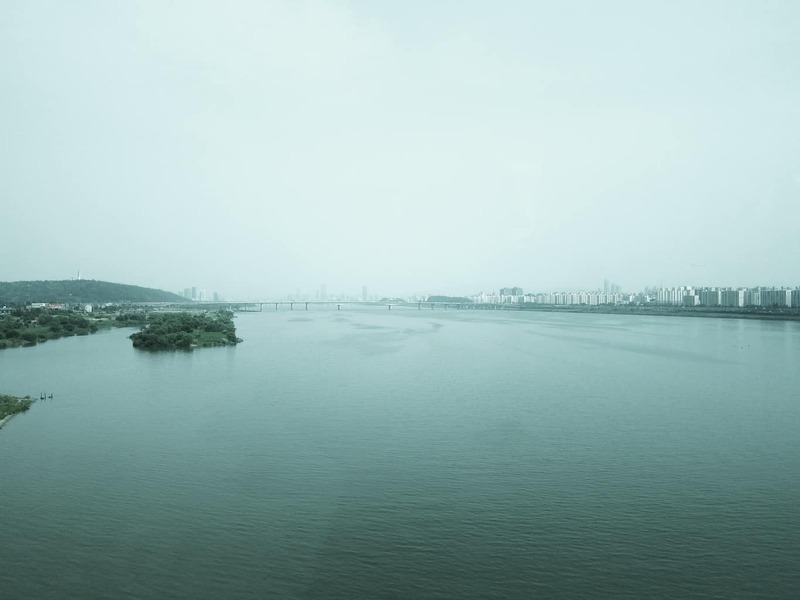 Here is the website: https://english.visitkorea.or.kr/enu/TRP/TP_ENG_2_2.jsp. Hope this helps! Thank you so much for your reply! I really do appreciate it! There was only one website I could find which addressed the check-in procedure change at Seoul Station, and it comes from the AREX site. I guess my friend and I will have to check in at ICN … Bummer …. Are we able to do tax refund at Seoul station? I don’t think so. The last time I checked, you can only do tax refund at the airports or shapping malls (if it has a duty free counter).